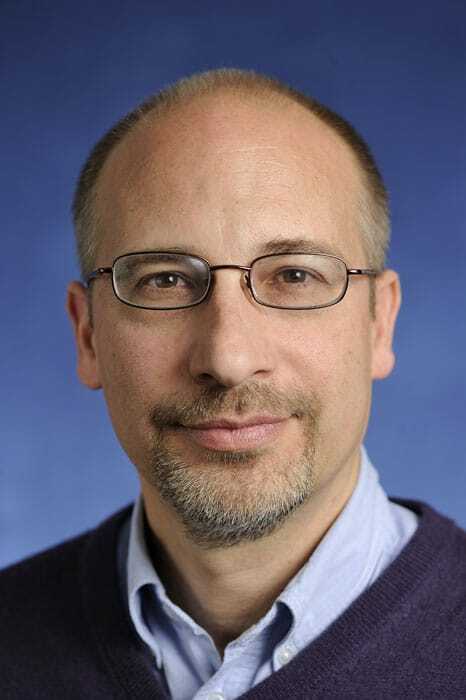 I joined the faculty at Johns Hopkins in 2003 after completing a doctoral degree in sociology at the University of California, Los Angeles. My research interests include political contention, social inequality, and social change in contemporary China. I am an active member of the East Asian Studies Program at Hopkins and served as program director from 2011 to 2013. I teach social theory at the undergraduate and graduate levels, as well as courses on political sociology and contemporary Chinese society. I travel to China regularly and have held visiting positions at the University of Sydney, the University of Adelaide, and Hong Kong University. My research involves the transitions to and from socialism in China. I was drawn to studying China because it was the site of the most radical of the major 20th century socialist experiments. A central interest has been uncovering the reasons why protracted efforts during the Mao era to do away with class distinctions failed. In my current research, while I am continuing to study the social experiments of the Mao era, I am also examining the tumultuous changes taking place in China today. This includes investigating the capitalist transformation of the Chinese economy over the last two decades, which has led to spectacular economic growth, while at the same time transforming China—once one of the world’s most egalitarian societies in terms of income distribution—into a paragon of economic inequality. While I am interested in the rise of new propertied classes, my research has focused mainly on the dislocation and dispossession of workers and peasants through industrial restructuring and the scaling up of agriculture. 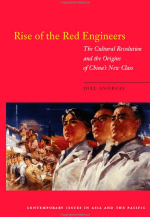 My 2009 book, Rise of the Red Engineers: The Cultural Revolution and the Origins of China’s New Class (Stanford, 2009), analyzes the contentious process through which two mutually hostile groups—the poorly educated peasant revolutionaries who seized power in 1949 and China’s old educated elite—coalesced to form a new dominant class. Mao’s attacks on both old and new elites during the Cultural Revolution, I argue, spurred inter-elite unity, paving the way—after his death—for the consolidation of a new class that combined their political and cultural resources. This story is told through a case study of Tsinghua University, which—as China’s premier school of technology—was at the epicenter of these conflicts and became the preferred training ground for technocratic officials, including many of China’s current leaders. My second book, Disenfranchised: The Rise and Fall of Industrial Citizenship in China (Oxford, forthcoming), recounts the tumultuous events that have shaped and reshaped factory politics in China over the past seven decades. The book develops a theoretical framework consisting of two dimensions—industrial citizenship and autonomy—to explain changing authority relations in workplaces and uses interviews with workers and managers to provide a shop-floor perspective. Under the work unit system, in place from the 1950s to the 1980s, lifetime job tenure and participatory institutions gave workers a strong form of industrial citizenship, but constraints on autonomous collective action made the system more paternalistic than democratic. Called “masters of the factory,” workers were pressed to participate actively in self-managing teams and employee congresses, but only under the all-encompassing control of the factory party committee. Concerned that party cadres were becoming a “bureaucratic class,” Mao experimented with means to mobilize criticism from below, even inciting—during the Cultural Revolution—a worker insurgency that overthrew factory party committees. Unwilling to allow workers to establish permanent autonomous organizations, however, Mao never came up with institutionalized means of making factory leaders accountable to their subordinates. The final chapters recount the process of industrial restructuring, which has transformed work units into profit-oriented enterprises, eliminating industrial citizenship and reducing workers to hired hands dependent on precarious employment and subject to highly coercive discipline. The book closes with an overview of parallel developments around the globe, chronicling the rise and fall of an era of industrial citizenship.